One day in the not-too-distant future, your surgeon might be able to give you new bones, joints, even soft-tissue organs that were “printed” in-house. It sounds like something out of “Westworld,” the HBO sci-fi series where humanoid robots are 3-D-printed. But Southeast Michigan hospitals are working on the cutting edge of medical innovation to make it a reality. 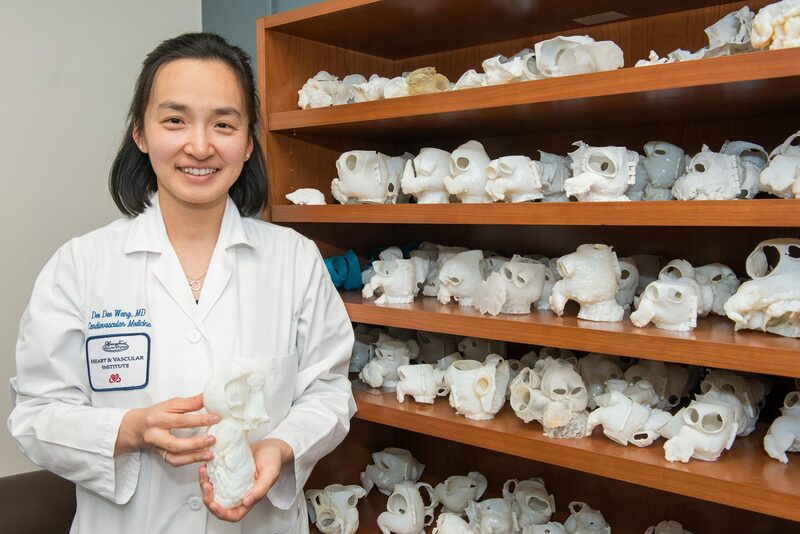 At the University of Michigan, doctors and researchers led by otolaryngologist Glenn Green, M.D., are working on nearly 30 medical 3-D projects that are customized to help individual patients. WHAT IS MEDICAL 3-D PRINTING? Medical 3-D printing is an advanced type of medical device manufacturing in which machines create customized prosthetics using imaging technology to design a specific shape of a patient’s body. Materials include biocompatible polymers and powders for tracheal splints and titanium for jaws and hips. It works like this: A 3-D printer receives instructions from a computer program that has been fed medical imaging data from a patient’s CT scan. Using materials of specialized filaments of plastics, ceramics or FDA-approved, biocompatible medical powder that is melted by a laser, the printer begins to eject thin layers of material until the final shape of the object — say a jaw — is completed. Printed objects currently can take between six and 24 hours to complete. Technology improvements are cutting those times in half. UM’s most successful implantable 3-D procedure is a medical 3-D-created biodegradable splint device to treat a rare life-threatening airway disorder that mostly occurs in babies called tracheobronchomalacia. The disorder causes the windpipe to periodically collapse and prevents normal breathing.